Size: 5x2.5x8H inches. 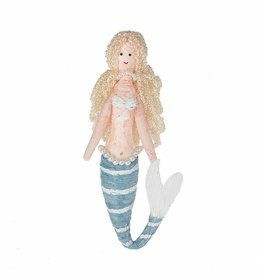 Paper Mermaid Doll Decoration. Composition- Paper-Polyester. Midwest-CBK Coastal Decor Decorations and Gifts Collection. Size: 8x2.5x15H inches. Paper Mermaid Doll Decoration. Composition- Paper-Polyester. Midwest-CBK Coastal Decor Decorations and Gifts Collection. Size: 8x2.5x15H inches.Paper Mermaid Doll Decoration. Composition- Paper-Polyester. Midwest-CBK Coastal Decor Decorations and Gifts Collection.